Hi everyone... this is my last wallapaper. I extracted de image from a scan and I have done the background with a several images of clouds. I added several textures and the magic circle in the background. Mokona and Sakura... the idea is join the two worlds... Card Captor Sakura and Tsubasa Reservoir Chronicles. Love it and you too! 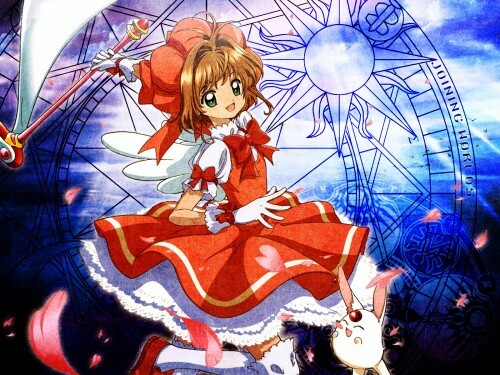 Cardcaptors is awesome! Great job! it's pretty pretyy, i like! thak you! I like the texture of this wallpaper.